ECR Minerals plc is pleased to announce that the Company has increased its shareholding in Paniai Gold Ltd (“Paniai”) through the conversion of a total of A$337,937 in loans to Paniai and accrued interest thereon into 50 million new Paniai shares. ECR is now the holder of 100 million Paniai shares, equating to 26% of Paniai’s issued share capital and making the Company Paniai’s largest shareholder. Paniai holds 46 million West Wits Mining Ltd (“West Wits”) performance shares and 12.5 million options to acquire West Wits ordinary shares exercisable at A$0.08 for 5 years. The performance shares convert to ordinary shares subject to the Derewo River gold project in Papua, Indonesia achieving production of 20,000oz gold within 2 years of the project’s acquisition from Paniai by West Wits, which occurred in late July 2011. Paniai was formed to advance the Derewo River project in joint venture with a local partner, and West Wits has now assumed Paniai’s role in the joint venture. The Derewo River project area extends over approximately 129,000 hectares located within 110km of Freeport’s Grasberg copper-gold complex in the central highlands of Indonesia’s Papua Province. The Derewo River hosts significant artisanal gold mining activity and the objectives of the joint venture are to establish a modern, mechanised alluvial gold mining operation on a 40 hectare mining licence and to explore a number of exploration licences for new gold and gold-copper deposits. Exploration targets include large scale alluvial gold, porphyry gold-copper and bonanza grade quartz sulphide gold veins. West Wits has a 50% interest in the initial alluvial mining operation and an interest of up to 80% in exploration activities. ECR also holds 11,149,826 West Wits ordinary shares, which are listed on the Australian Stock Exchange with the ticker WWI. The Company has arranged a placing (the "Placing") of 32,460,000 new ordinary shares of 0.1p (“Ordinary Shares”) at a price of 1p per Ordinary Share to raise GBP324,600 before costs. Optiva Securities Ltd acted as placing agent for the Company in the Placing, which is conditional upon admission of the Ordinary Shares issued and allotted in respect of the Placing to trading on AIM. The Company has also issued and allotted a total of 5,000,000 Ordinary Shares at 1p per Ordinary Share to YA Global SPV Ltd ("YA Global") in connection with an advance (the “Advance”) of GBP50,000 under the Company's Standby Equity Distribution Agreement (SEDA) with YA Global. The net proceeds of the Placing and the Advance will be applied primarily for the planned drilling programme at ECR’s 100% owned El Abra gold prospect in La Rioja Province, Argentina and for working capital purposes. Drilling at El Abra is expected to commence in the second week of January 2012. Pursuant to this announcement application is being been made for a total of 37,460,000 Ordinary Shares to be admitted to trading on AIM. Dealings are expected to commence on 23 December 2011. Following admission of these shares the Company will have a total of 639,806,081 Ordinary Shares in issue. The new Ordinary Shares will rank pari passu in all respects with the Ordinary Shares of the Company currently traded on AIM. “ECR deliberately positioned itself to acquire a larger shareholding in Paniai Gold at an appropriate time, and we believe that time has now come. We expect great progress to be made at the Derewo River gold project during 2012, and ECR shareholders now have significant exposure to the success of the project through the Company’s shareholdings in West Wits and in Paniai Gold. 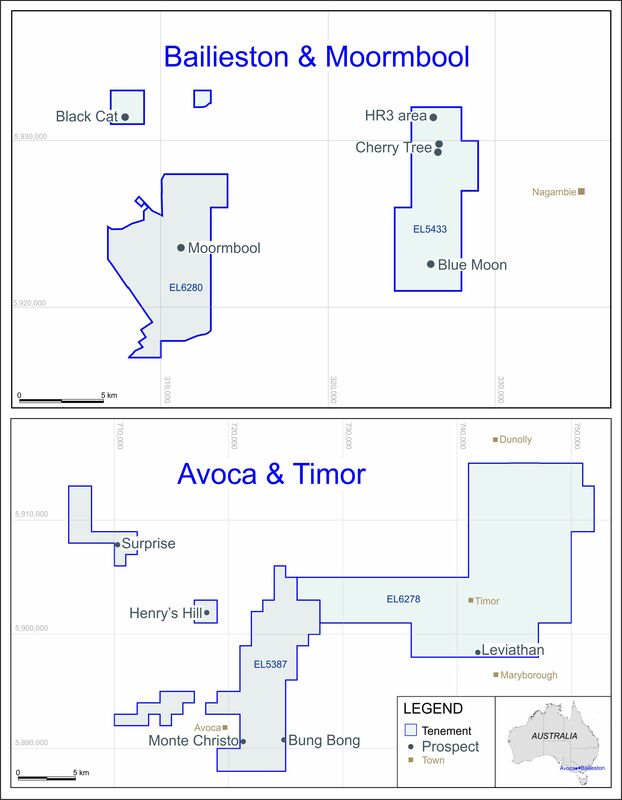 The proceeds of the small capital raising announced today are intended to augment ECR’s working capital position ahead of drilling at the El Abra prospect early in January.